The Writer’s Center is pleased to announce the winners of the 2014-2015 Emerging Writer Fellowships: Karina Borowicz and Tanya Olson. This annual award is comprised of a reading at the Center and a cash honorarium. Fellows living within a 250-mile radius of the center will receive a $250 honorarium; all others will receive $500. “We are so pleased to offer this opportunity to two such talented writers,” said Sunil Freeman, Assistant Director of the Center. Karina Borowicz is the author of two poetry collections, Proof (Codhill Press, 2014) and The Bees Are Waiting (Marick Press, 2012), which won the Eric Hoffer Award for Poetry and was named a Must-Read by the Massachusetts Center for the Book. Her poems have appeared widely in journals and have been featured on the web and in radio. 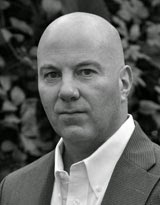 Trained as an historian, Borowicz also holds an MFA in Creative Writing from the University of New Hampshire. She makes her home in the Connecticut River Valley of Western Massachusetts. Tanya Olson lives in Silver Spring, Maryland and is a Lecturer in English at University of Maryland Baltimore County. Her first book, Boyishly, was published by YesYes Books in 2013 and received a 2014 American Book Award. In 2010, she won a Discovery/Boston Review prize and was named a 2011 Lambda Fellow by the Lambda Literary Foundation. Requirements for the fellowship include the publication of one or two full-length single-author books in a single genre, and no more than three books published to their credit (including as editors of anthologies) in any genre. It’s that time of year again! Poet Lore, The Writer’s Center’s semi-annual poetry magazine, reveals which of its amazing contributing writers have been nominated for the 2014 Pushcart Prize. Founded in 1976, the Pushcart Prize has become “one of the most influential projects in the history of American publishing,” according to Publishers Weekly. Every year, Pushcart Press invites small press editors to submit up to six works that they have published that year. Pushcart editors then use these nominations in the making of their prestigious annual anthology, The Pushcart Prize: Best of the Small Presses. Recipients of the Pushcart Prize over the years have included Junot Diaz, Raymond Carver, Tim O’Brien, and Peter Orner. Poet Lore is proud to announce its six nominees for the 2014 Pushcart Prize, whose poems and author bios are listed below. All of these poets use language and form in such a way that leaves the reader completely entranced and embody Poet Lore’s mission to create poetry that fuels our natural need for discovery. Congratulations to all the nominees! Cornelius Eady - "Otis Redding, Being Pulled from Lake Monona"
CORNELIUS EADY is the author of eight books of poetry, including Hardheaded Weather: New and Selected Poems (Putnam, April 2008). His second book, Victims of the Latest Dance Craze, won the Lamont Prize from the Academy of American Poets in 1985; in 2001 Brutal Imagination was a finalist for the National Book Award. 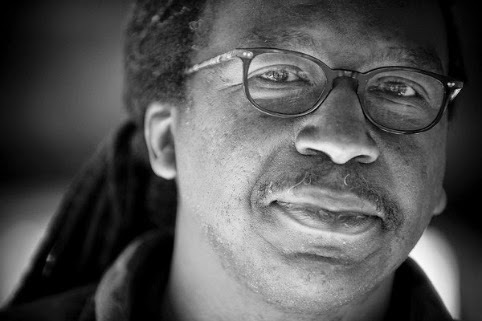 He has received the Prairie Schooner Strousse Award and fellowships from the NEA, the Guggenheim Foundation, the Lila Wallace-Reader’s Digest Foundation, and the Rockefeller Foundation. He co-founded the Cave Canem summer workshop/retreat for African American poets and is a professor at Notre Dame University. Patrick Ryan Frank - "Body Double"
PATRICK RYAN FRANK is the author of How the Losers Love What’s Lost, which won the 2010 Intro Prize from Four Way Books, and The Opposite of People, due out in 2015. He was a recent Fulbright fellow to Iceland. 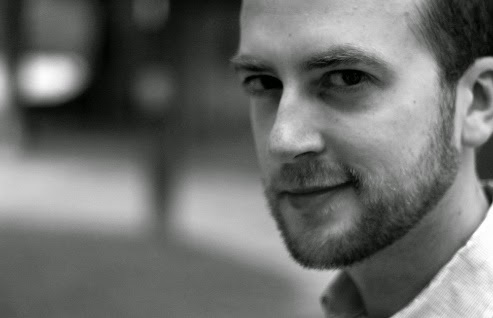 JOSEPH ROSS is the author of two books of poetry: Meeting Bone Man (2012) and Gospel of Dust (2013). His work appears in many anthologies and journals. He teaches English and creative writing at Gonzaga College High School in Washington, DC, and writes regularly at JosephRoss.net. Sherod Santos - "I Was at One Time Close to Home"
SHEROD SANTOS’s latest book is The Intricated Soul: New and Selected Poems (W.W. Norton, 2010). He lives in Chicago. June Frankland Baker - "During the Downpour, at the Pond"
JUNE FRANKLAND BAKER lives in Richland, Washington. Her poems have appeared in such anthologies as The Blueline Anthology and Woven on the Wind, and in numerous magazines, including Commonweal, Notre Dame Review, Poetry Northwest, Slant, and Tampa Review. 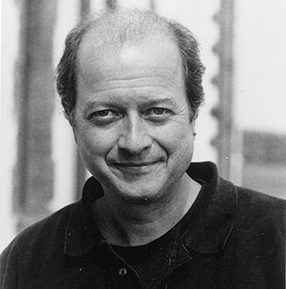 CHRISTOPHER PRESFIELD is the co-author of Gray Air (Cedar Hill Publications, 1999) and Dawn in the Big House (Pygmy Forest Press, 2006). His poems have also appeared in Poet Lore, Alaska Quarterly Review, Poetry, Briar Cliff Review, Rattle, and else­where. He has received five PEN Prison Writing Awards of varying placement over the years. Writer's retreats are a great way to get inspired and buckle down. 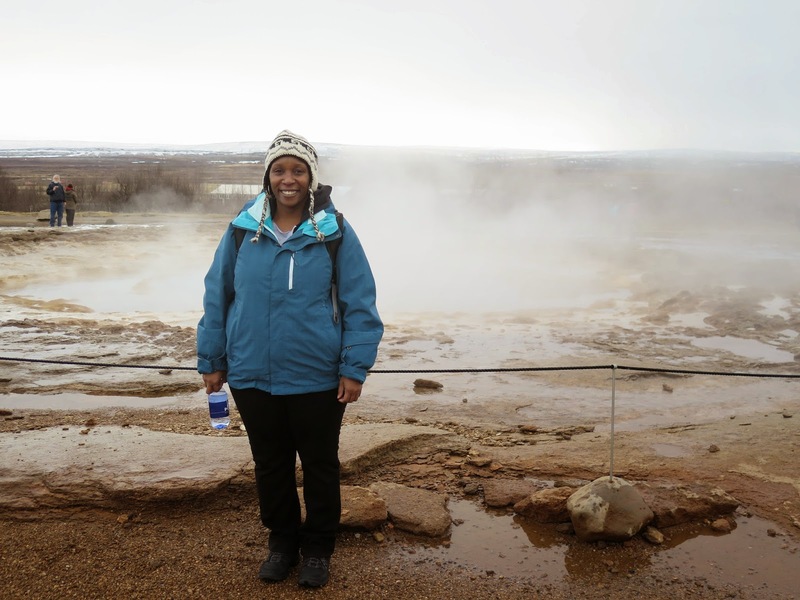 Workshop leader Willona M. Sloan traveled to Iceland earlier this year and discovered many things on her journey. The retreat is happening again in April, so think about spending your next vacation in this fascinating country that considers writing to be a national pastime. When we write, our words take us to places both real and imagined. We travel through time. We experience different cultures. When we write, we relive our adventures and re-imagine the people we have encountered along the way. That’s why to keep our writing fresh we must leave home, explore new places, meet new people and collect new stories. For about 20 years I have had an inexplicable fascination with Iceland—more so the idea of Iceland than the place itself, as I knew very little about the tiny nation. When I heard about the first annual Iceland Writers Retreat, I didn’t know exactly why but I had to visit this magical place. Co-founded by Eliza Reid and Erica Jacobs Green, the first Iceland Writers Retreat was held in April 2014 and featured workshops led by Pulitzer Prize winner Geraldine Brooks, Guggenheim Fellow Susan Orlean, Scotiabank Giller Prize winner Joseph Boyden and many more. I was most excited about the promise of meeting Icelandic authors and poets. In Iceland, writing is a national pastime. With a population of just 330,000, Iceland boasts an almost perfect literacy rate, and Iceland publishes more books per capita than any other country in the world. Who knew? As a UNESCO-designated City of Literature, Reykjavik is a city that values storytelling. Our delightful literary walking tour brought to life the elves, trolls, and elemental beings of local folktales, as well as the heroes of the ancient Icelandic Sagas, and some pretty chilly characters from crime stories, including Gunnar Gunnarsson’s The Black Cliffs, which even inspired Geraldine Brooks to create a new writing prompt for the next day’s workshops. We were all ingesting parts of Icelandic literature and allowing them to nourish our creative work. We were treated to private readings by some of Reykjavik’s brightest literary stars: author Sjón, who also has been known to write songs for Björk; author Ragna Sigurðardóttir and poet Gerður Kristný. And, if I had any doubt that writers were welcome in the land of fire and ice, President Ólafur Ragnar Grímsson set the record straight. He invited our delegation of 60+ writers from the U.S., Canada, the U.K., Singapore and more to a private reception at the Presidential Palace at Bessastaðir. President Grímsson shared his pride of the national literary tradition, and he allowed us to explore the house. What an exciting day to be a writer! My journey to Iceland reinvigorated me. I realized a dream come true. From that experience I have created new dreams; I have told new stories; and I am curious about new things. This is what makes writing so exciting. For me, the best part is figuring out where my words will take me next. Willona M. Sloan teaches workshops at The Writer’s Center. She has published non-fiction, fiction and poetry in publications including BlazeVOX, Bohemia, Northern Virginia, Publishers Weekly, The University of Virginia magazine and Words Apart.